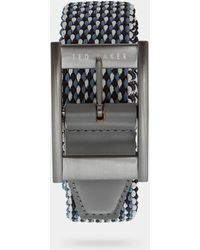 Beginning life in the 1980's, Ted Baker has become known for a sense of humour and attention to detailing that often translates to quirky additions to the label's clothing. 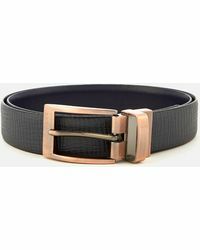 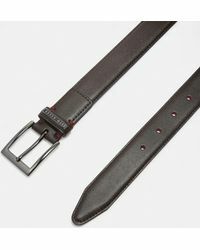 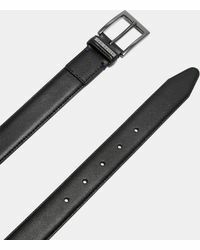 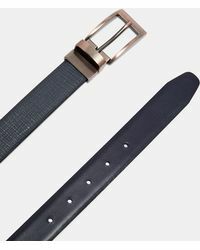 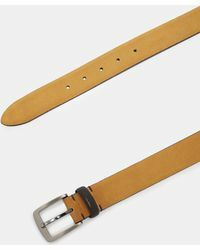 This is apparent in the brand's selection of belts, which neatly show off the signature fusion of classic menswear with contemporary references. Sophisticated leather belts are fitted out with a contrast prong in a rich shade that matches subtle stitching, while colour blocked styles come in vivid tones with contrasting keepers. 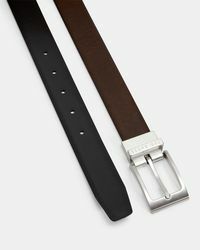 For a more conservative and understated look, formal and reversible styles in black and brown leather are also available.